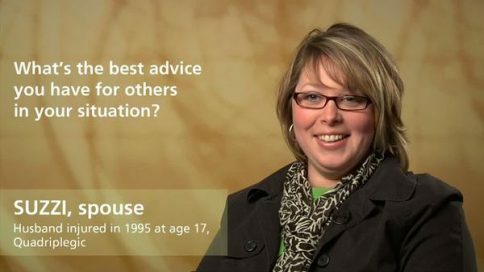 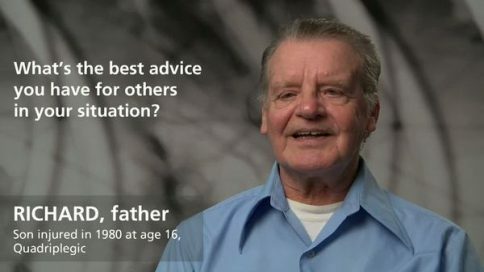 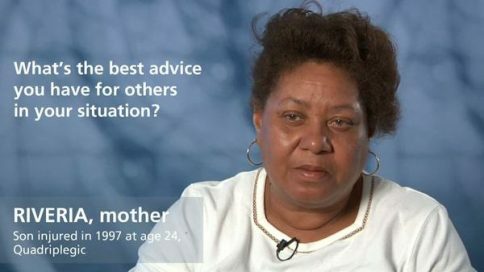 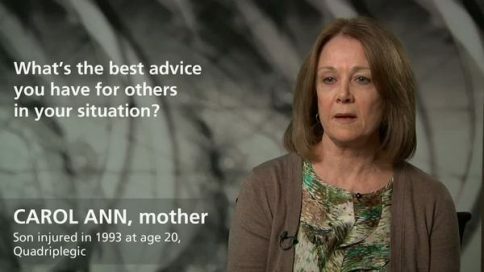 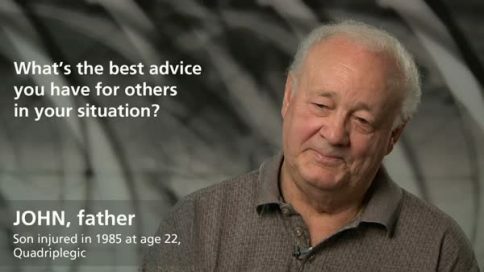 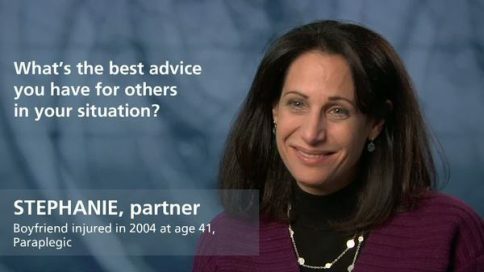 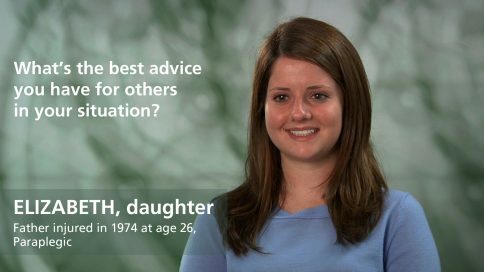 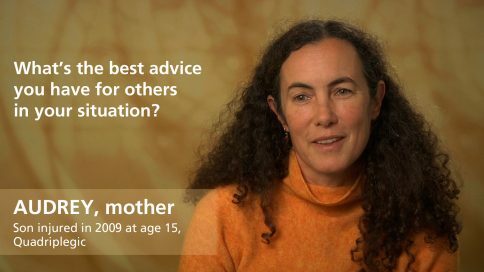 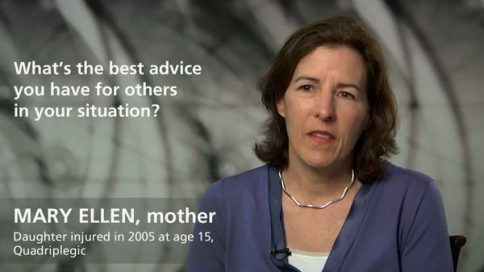 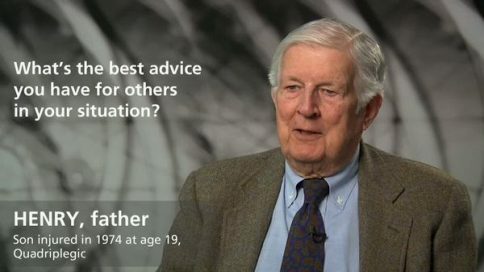 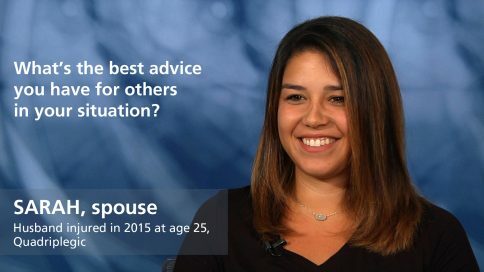 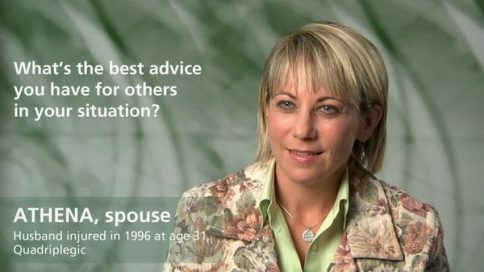 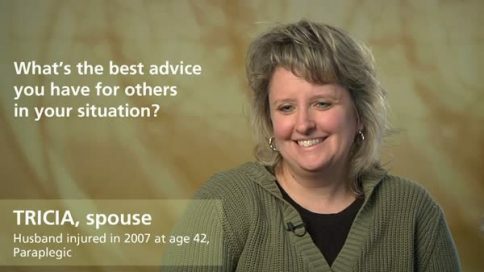 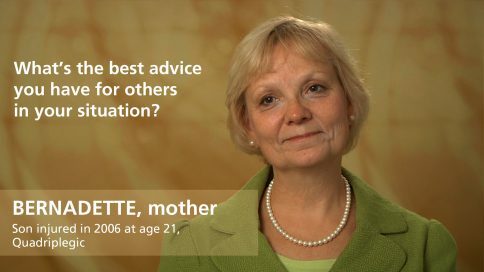 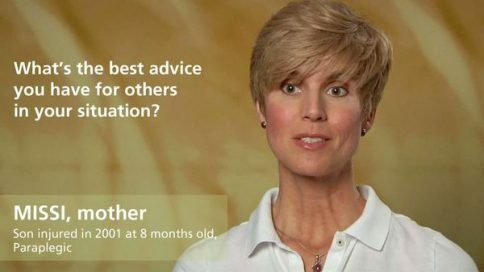 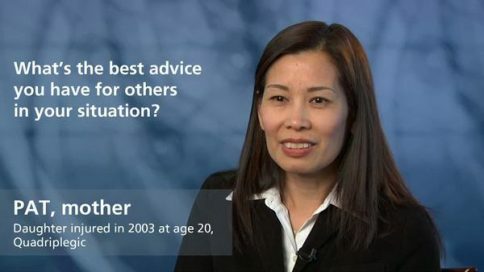 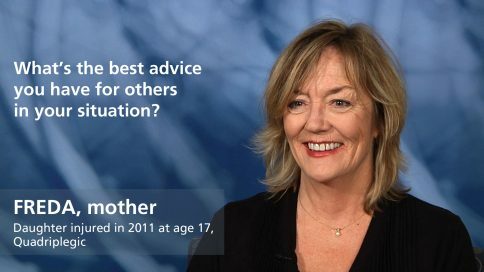 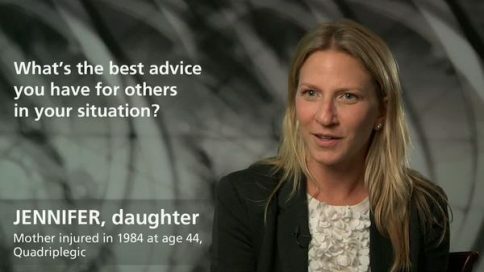 Eileen – What’s the best advice you have for others in your situation? 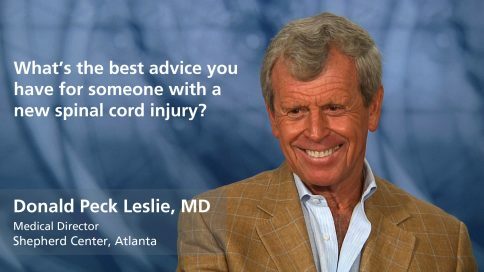 Doctors can, well they’re compassionate, and they kind of tell you from the hip. You can learn that some doctors will be very blunt, abrupt, and say, “Okay, he’s not going to do this, he’s not going to do that.” You want that hope, you want that hope. And I think the different people that you will meet along the way, some are great with encouragement, some are on the negative side. You have to stay positive because there’s always improvement, even a little improvement. 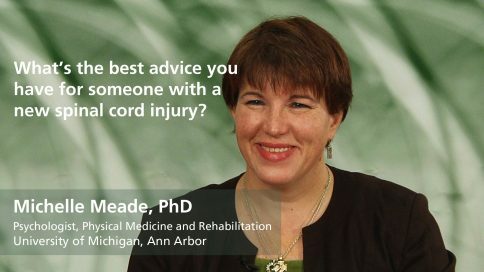 And someone who had told me, who had a family member injured, told me the same thing, that “you’re constantly going to see improvements, and not to listen to them.” And we know that two people can have the same exact injury and the outcome is going to be different. 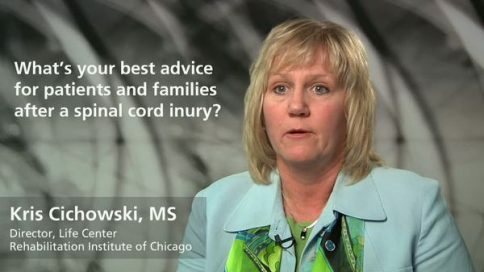 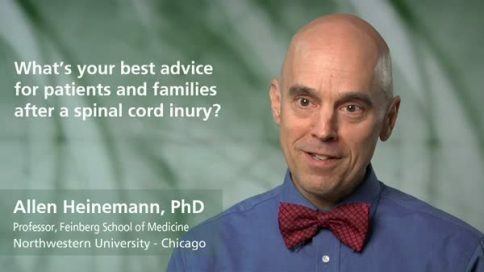 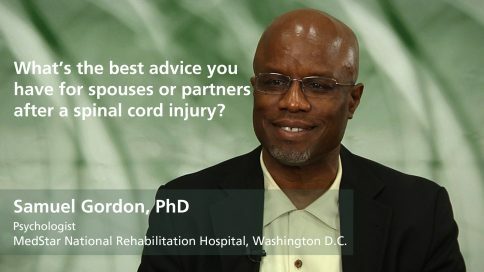 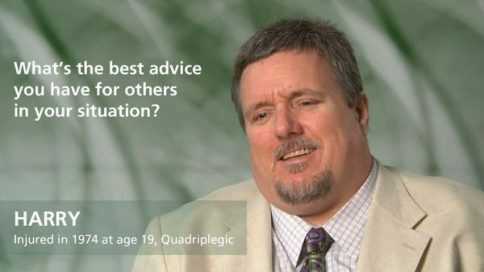 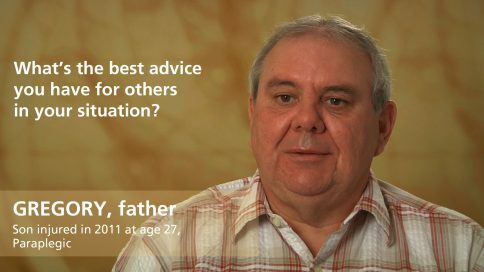 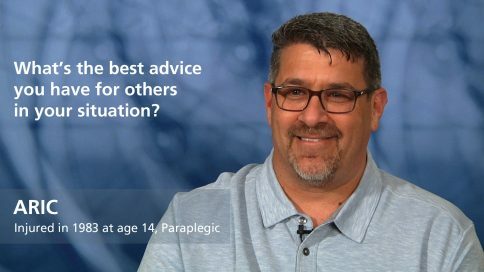 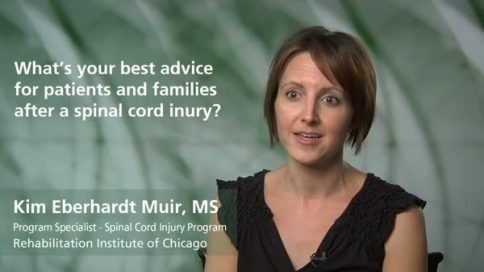 What’s your best advice for patients and families after a spinal cord injury? 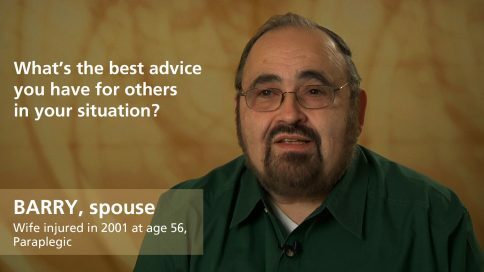 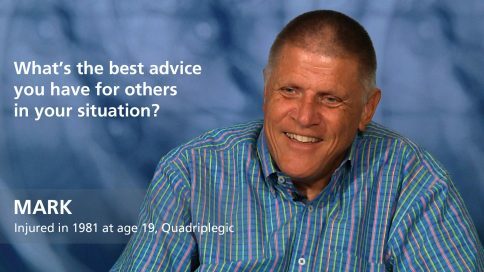 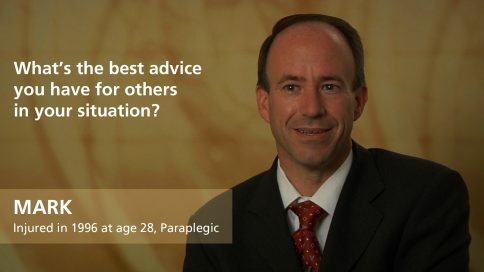 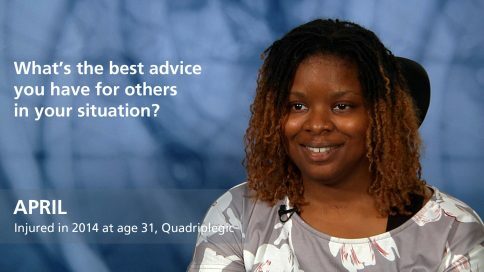 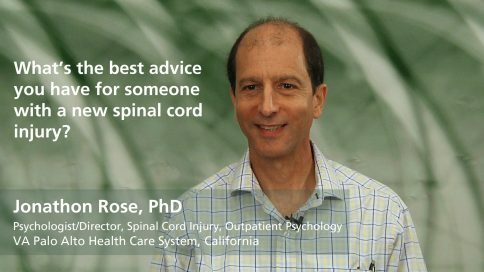 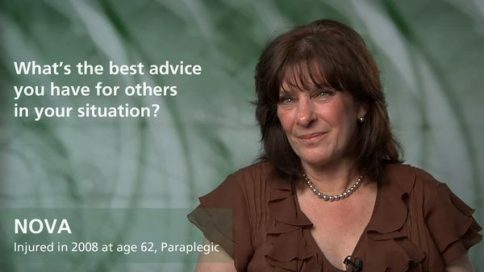 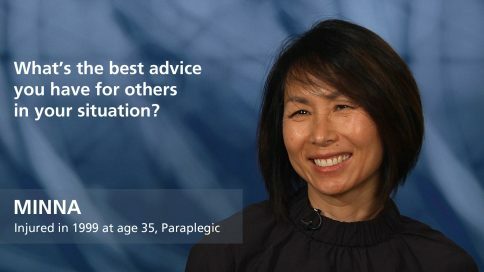 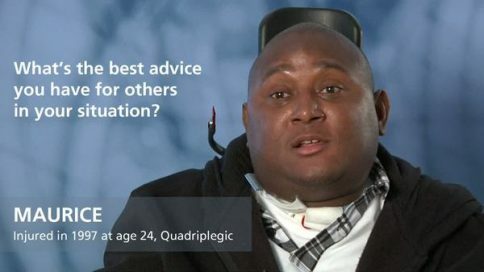 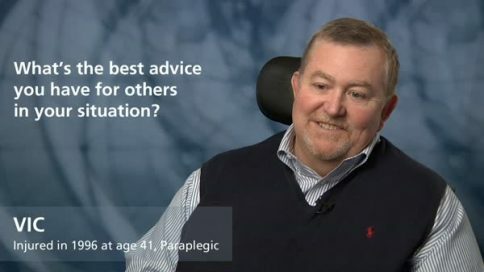 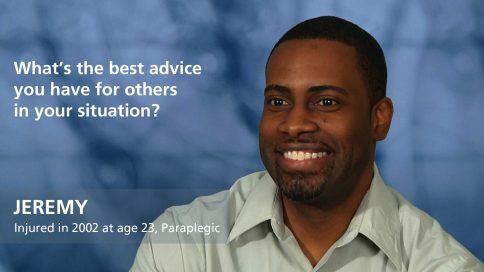 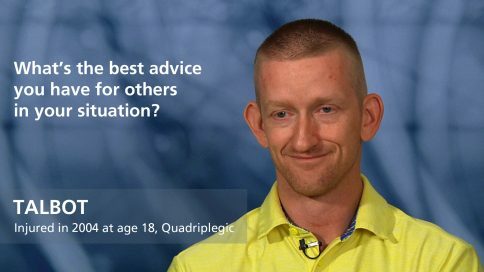 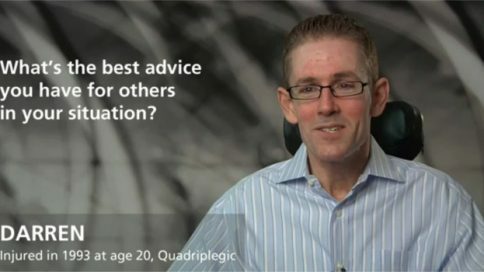 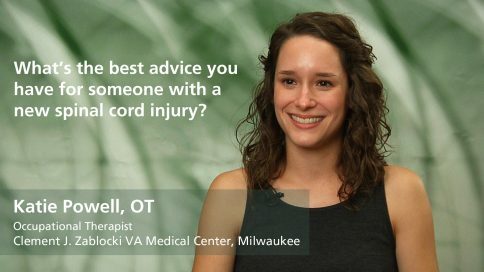 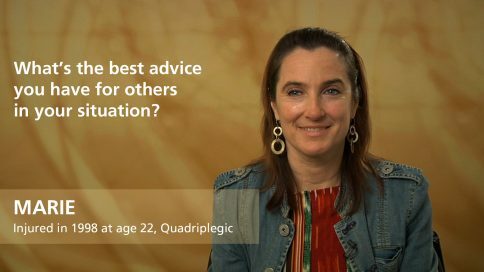 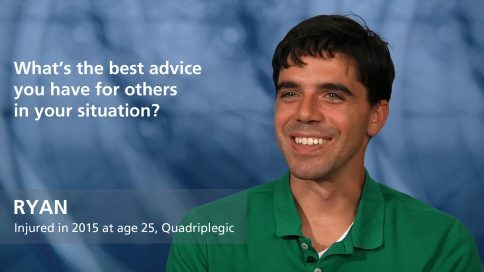 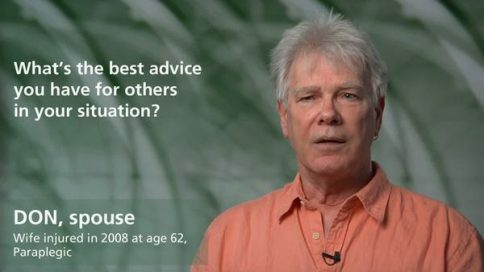 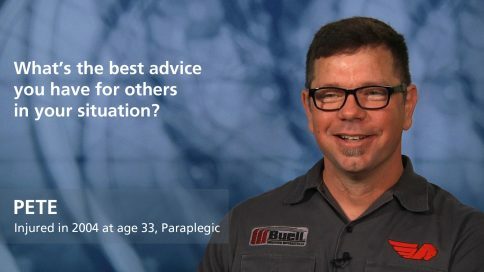 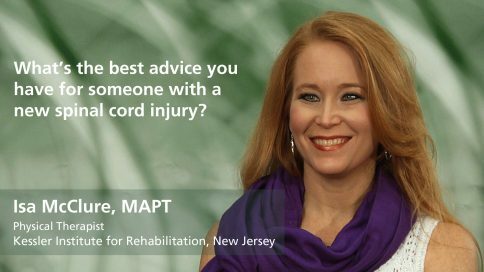 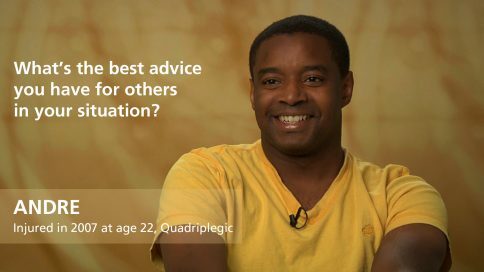 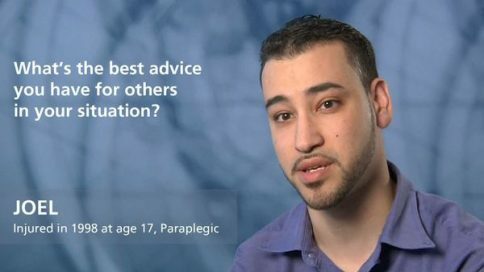 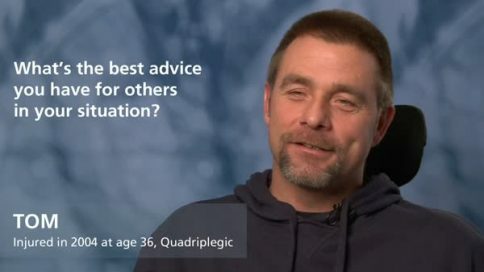 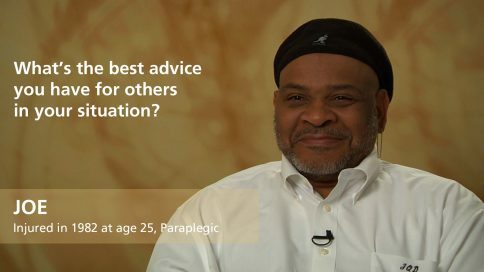 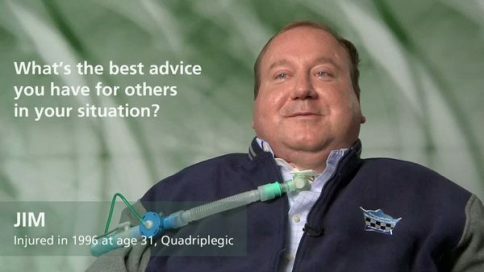 What’s the best advice you have for someone with a new spinal cord injury? 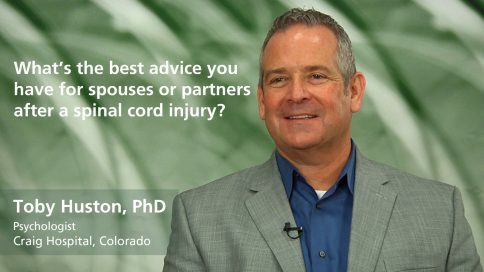 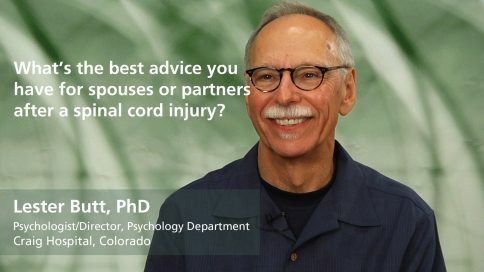 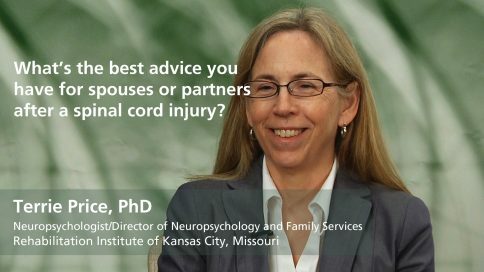 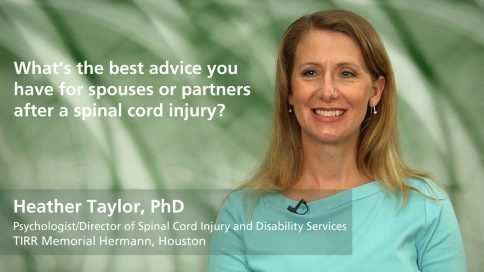 What’s the best advice you have for spouses or partners after a spinal cord injury?